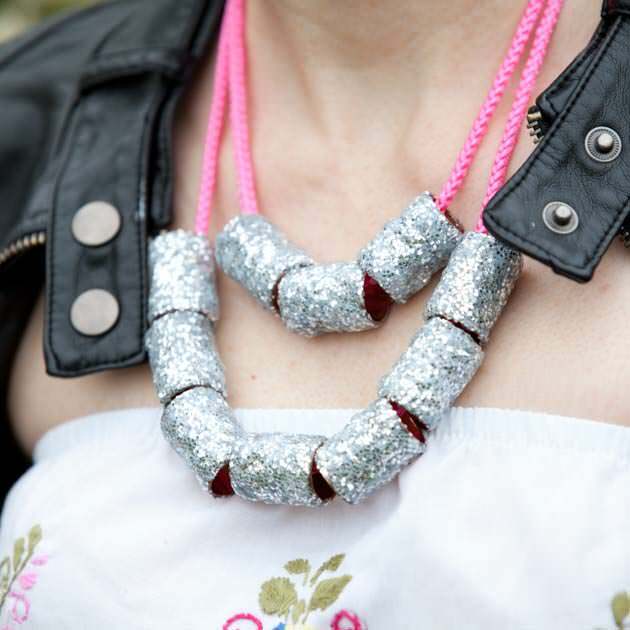 Accessories are something you can never have enough of, and as girls we all want to have our hair be as glam and fabulous as we can. 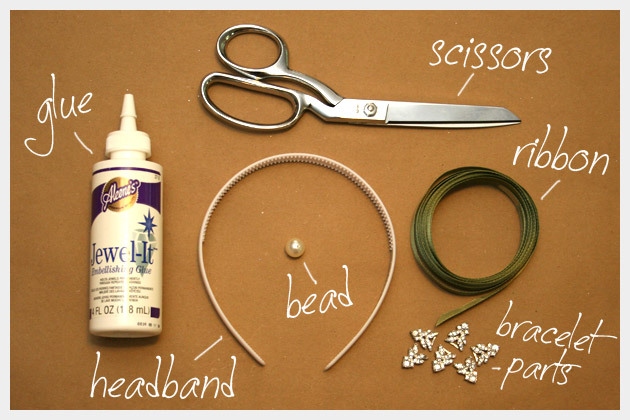 Little extras like this DIY Jeweled Headband are just the thing you need. Take your headband, your ribbon and hot glue, place a small amount of hot glue on the inside of your headband, very close to the end. 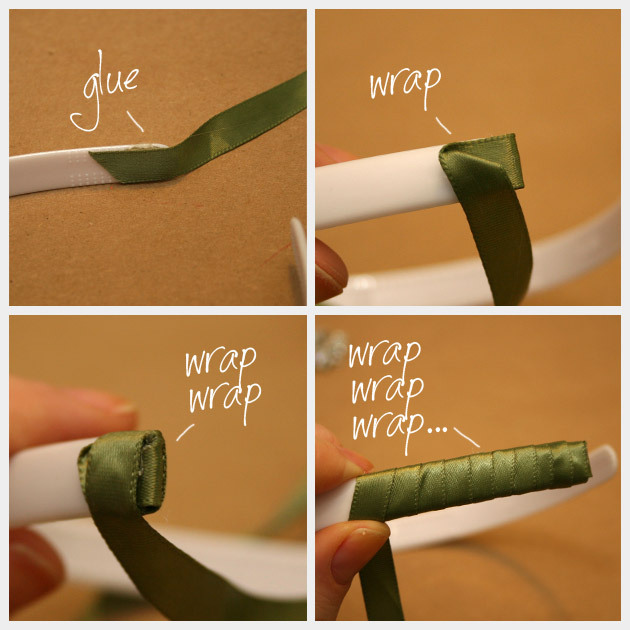 Press your ribbon into the hot glue and wrap your ribbon around the end of your headband. See the pictures for details on how I covered the ends. 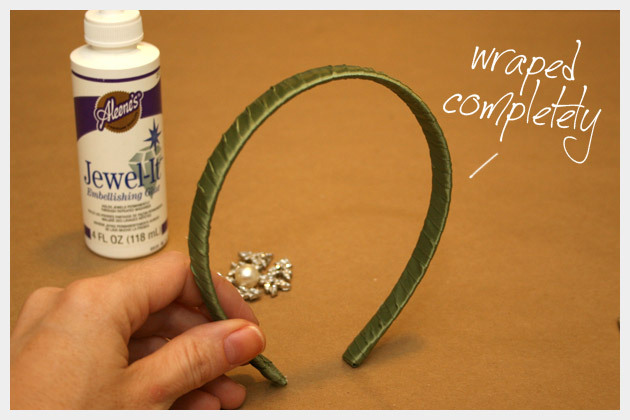 Continue wrapping your ribbon around your headband until it is completely covered. 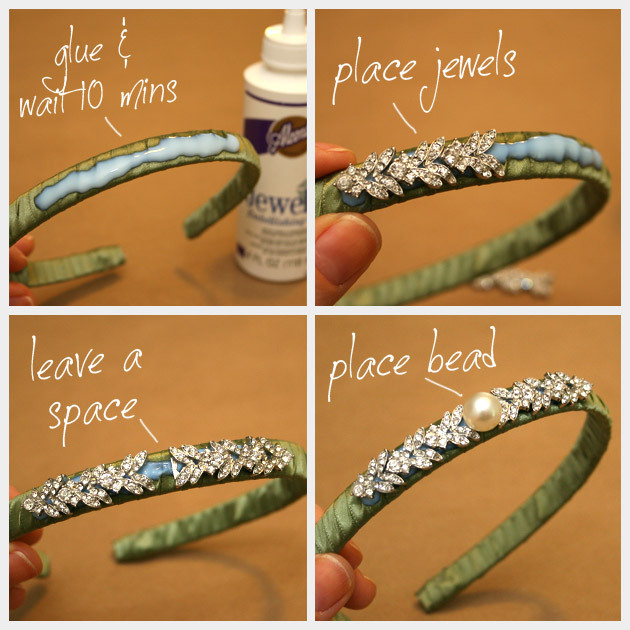 Take your Aleenes Jewel-it glue and put enough glue on your headband for all of your bracelet pieces and your bead. I recommend laying out your bracelet pieces and your bead to measure for the placement on your headband. I put mine a little off center. 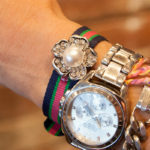 Be sure to let your glue sit for at least 10 minutes before applying your bracelet pieces or beads. 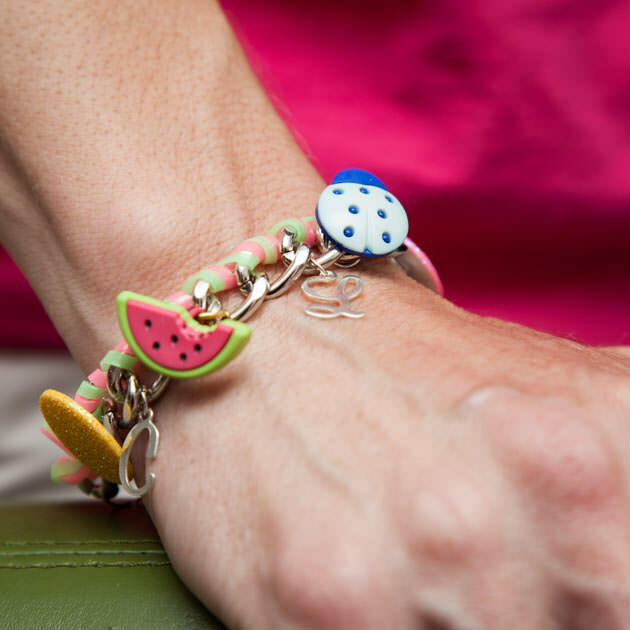 After 10 minutes carefully press each piece of bracelet or beads into the glue. 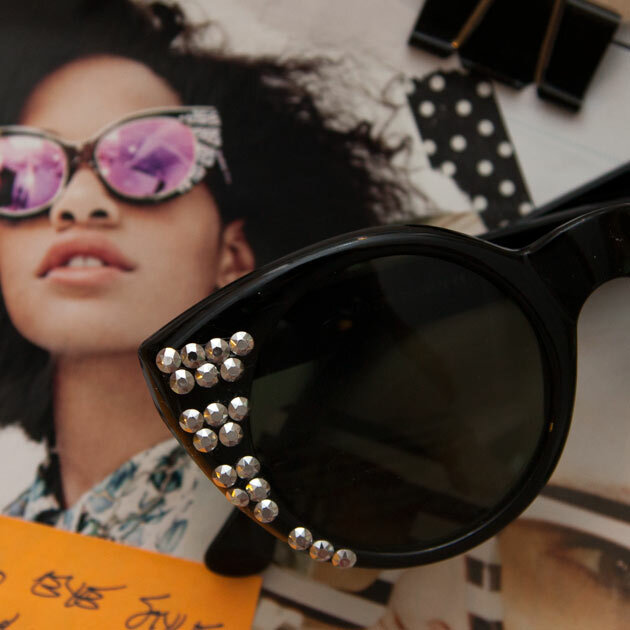 Once all your pieces are on, set your headband somewhere it can dry. I recommend letting it dry in an upright position. I found that putting it over my hot glue gun worked well. Just make sure your glue gun is off. 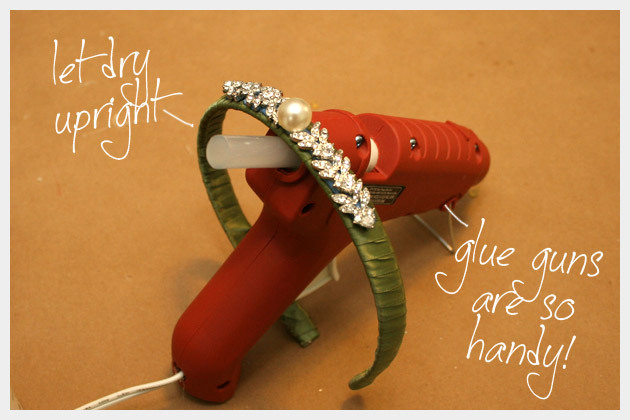 You’ll want to let your jeweled headband dry for a few hours or over night. This will ensure that all your work will stay in tact through many wearings. 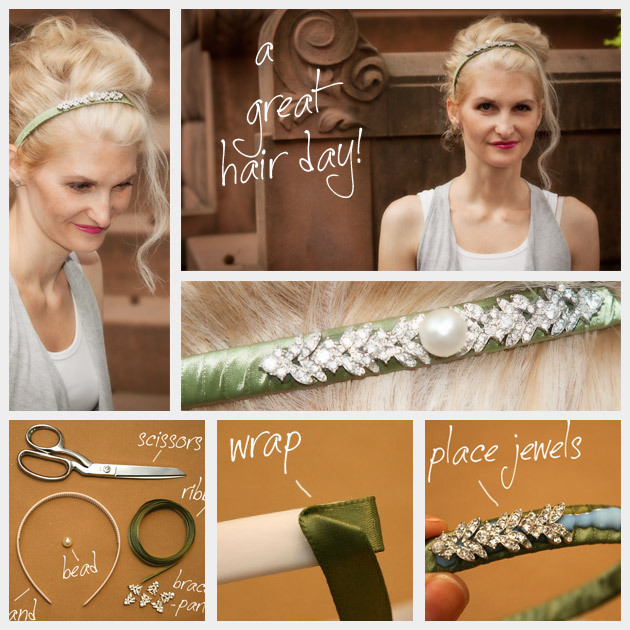 This DIY Jeweled Headband is so simple, yet just glam enough to add a sophisticated touch to your hair. There are so many cute hair accessories out right now and even more hairstyles to wear them with. The great thing about a jeweled headband is how well they work on any hair length. 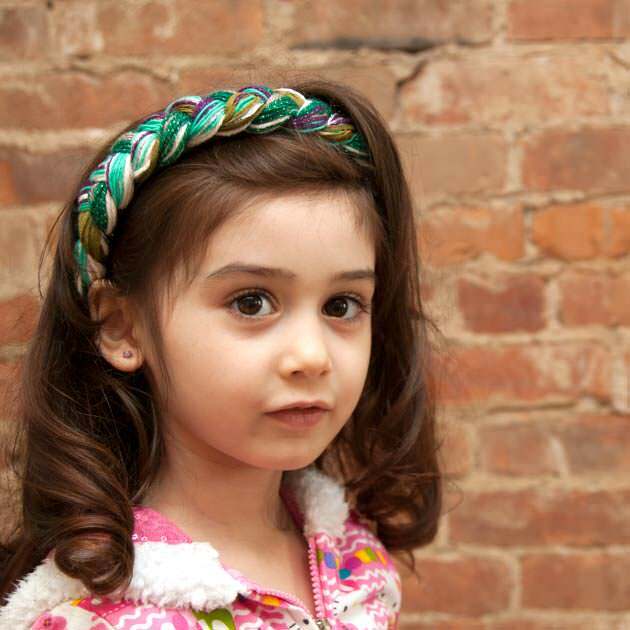 Even those with super short hair can rock this cute headband! I love being able to use leftover supplies from one project to make another. 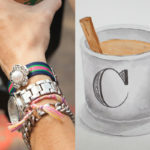 See my previous post where I used part of this bracelet. Not only does it make me feel like Im being responsible and not wasteful (see mom, I was paying attention! ;)) but it also keeps me from drowning in my craft room. That’s so cute! The color you chose is really chic! You’d never think that you actually made it, it looks so good!! This is EXACTLY the tutorial I’ve been looking for. I could not figure out how to manage wrapping the ends of the headband. Thank you so much! GREAT TUTORIAL! I’m so glad it helps! I would LOVE to know how you finished wrapping the headband. I prefer your way to the typical added piece so many people use… But for the life of me I couldn’t figure out how you finished it with the same technique you started with!